Give your cat YEOWWW catnip for cats! Yeowww-Catnip-Bag-1oz bag for catnip toy refills. SKU: DW-Catnip-Bag-1oz bag Category: Catnip & Cat Toys Tags: Cat Toys, Catnip & Cat Toys, Catnip for Cats, Cats on Catnip, Crochet Cat Toys, Handmade Cat Toys, What is Catnip? Did you know that catnip aids in your cat’s digestion? Catnip for cats makes a delightful treat for your furry friends. Catnip for cats is a recreational substance for enjoyment. It also aids in digestion. Catnip for cats is harmless and non-addictive — so cat owners don’t need to worry. Cats seem to have a hereditary disposition to the catnip plant, which can trigger euphoria, excitement and relaxation. Cats detect catnip by smell. Cats on catnip tend to sniff, chew, lick, body rub, head shake. Additional reactions may include stretching, drooling, jumping, licking, and more. After 5-15 minutes, sleepiness sets in. The friskiness caused by catnip can give your cat beneficial exercise. In addition, ingesting catnip (up to one tablespoon per day), can give your indoor cat healthy greens he/she wouldn’t get otherwise. Approximately 50-65% of cats experience the positive effects of catnip. Young kittens (less than 8 weeks old) often show an aversion to catnip and aren’t able to enjoy its effects. 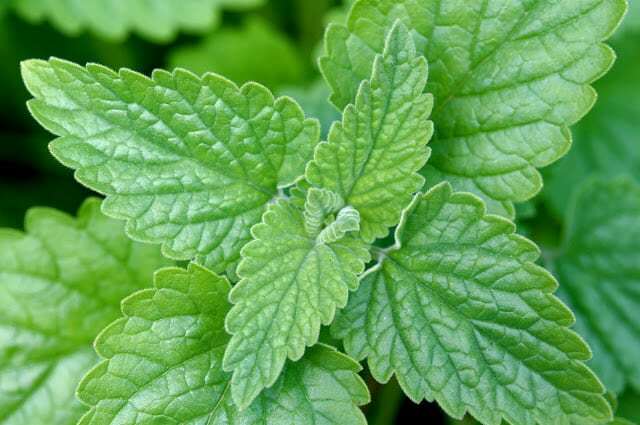 Catnip, a natural member of the mint family, is a perennial herb with the botanical name “Nepeta Cataria.” The catnip plant has a hairy, square stalk. Its green-grey leaves are heart-shaped with scalloped edges. Its flowers grow in spikes, growing about a half-inch long. The active ingredient in the catnip plant that causes cat euphoria is Nepetalactone. Nepetalactone is an essential oil that can be found in the leaves and stems of the catnip plant. Nepetalactone is known to repel mosquitoes and cockroaches. In addition, it’s believed that rats and mice have a strong dislike of catnip. Give your cat a TIN OF STINKIES catnip for cats! 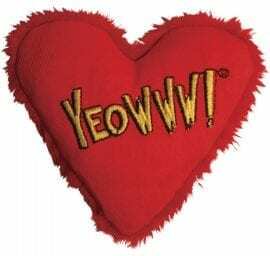 Give your cat a YEOWWW Heart — filled with catnip for cats!